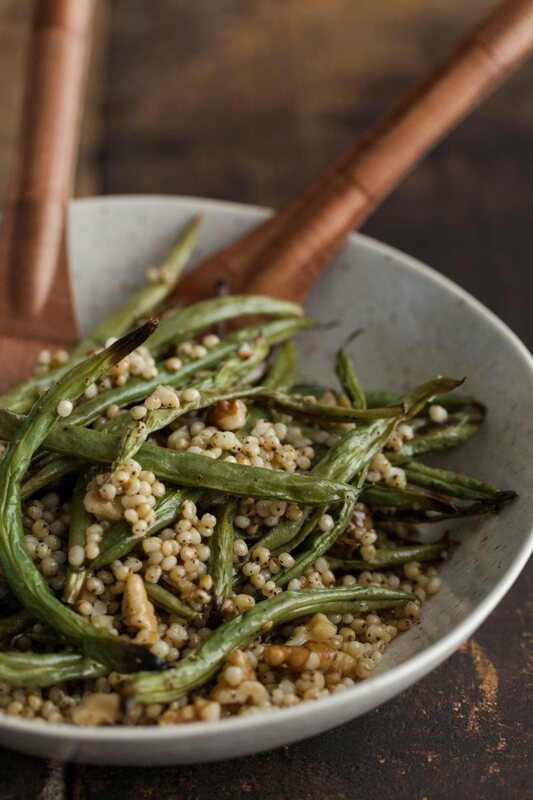 Garlic Green Beans with Sorghum and Walnuts | Naturally. I am always amazed at how skewed our outlook on food can sometimes be. I remember driving through the great plains on our way to family vacations out west, staring at all the crops (because in most of the states, that’s all there is to see.) When I got old enough, I started to ask questions. I knew what corn and soybeans looked like (that’s ALL I grew up with) but there was always a couple crops I couldn’t place. Eventually I learned that one of those crops was sorghum. Of course, if you know anything about US commercial ag, those crops weren’t destined for our dinner plates but rather fodder for animals. 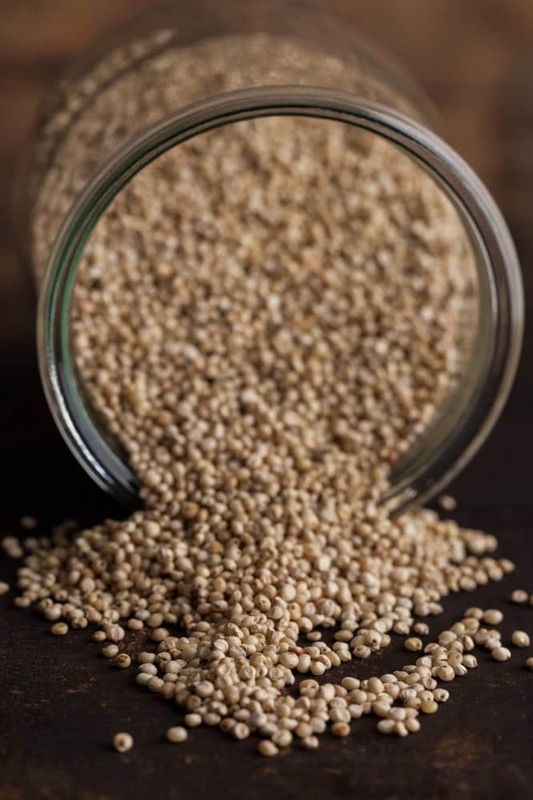 For years I thought that’s all sorghum was good for but come to find out, it’s a delicious whole-grain that deserves space on your table. 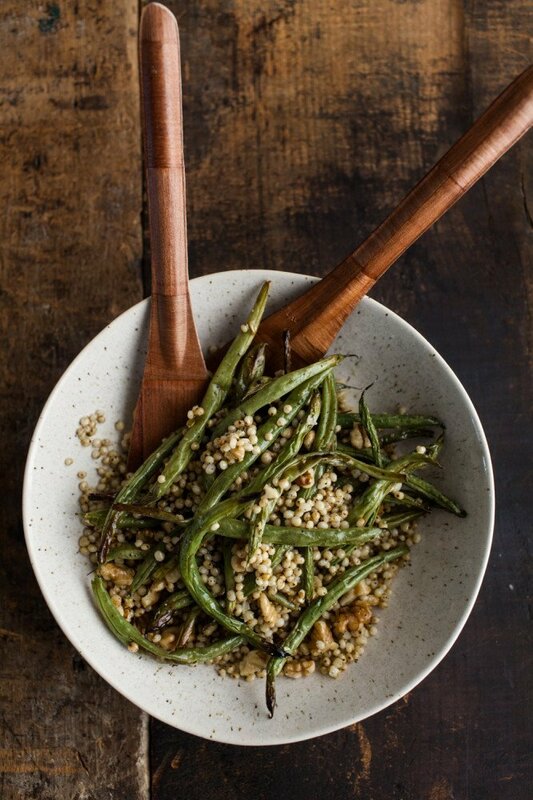 Oooh really want to try out sorghum! Looks delicious! 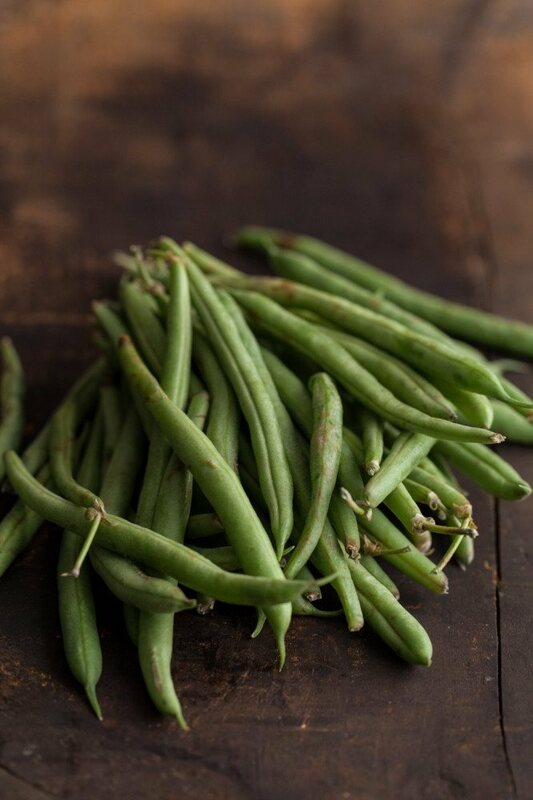 I always forget about the deliciousness that is green beans. They are definitely underused in my house…I should change this asap. I’ve never had sorghum but it looks like Israeli couscous which I LOVE! I need to give it a try! Thanks for sharing Erin! How on earth have I never tried sorghum?! I feel like I’ve tried most grains out there, but some how this one has eluded me, and it looks and sounds so delicious! 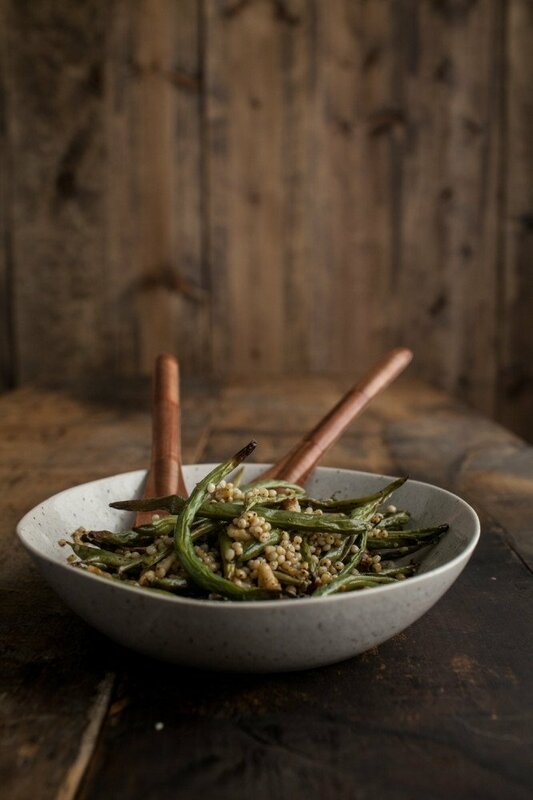 Also, roasted green beans are one of life’s greatest pleasures. Totally pinning this! Erin, you have me convinced! I need to try sorghum. This simple meal sounds fabulous! I’ve only had sorghum molasses/syrup and that’s only because my southern husband requests it. Looking forward to trying the grain. I love love love adding beans and cheese to salads like this to make them a complete meal! Also, sorghum eating is totally on my bucket list! I used this recipe for a pot luck and received many compliments. I made a few adjustments to the recipe. I cooked the sorghum in veggie stock and added 5 oz. sliced mushrooms sautéed in olive oil to the cooked sorghum. 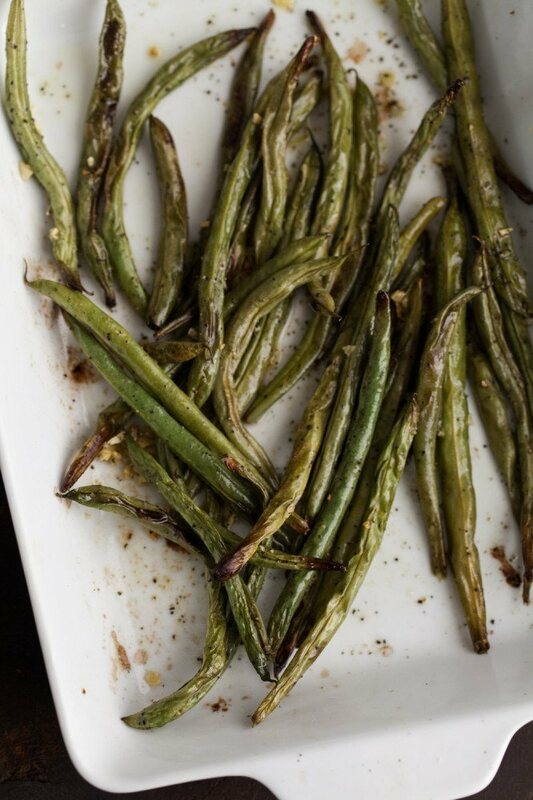 I used haricots verts which work better in the recipe then regular sized green beans. I didn’t toast the nuts. The recipe works fine when doubled and holds extremely well in a warming oven. I noticed that the flavors improved as a result of sitting in the warming oven after mixing together all the components. Overall it was a big success except next time I would increase the amount of green beans by 25 to 50%.